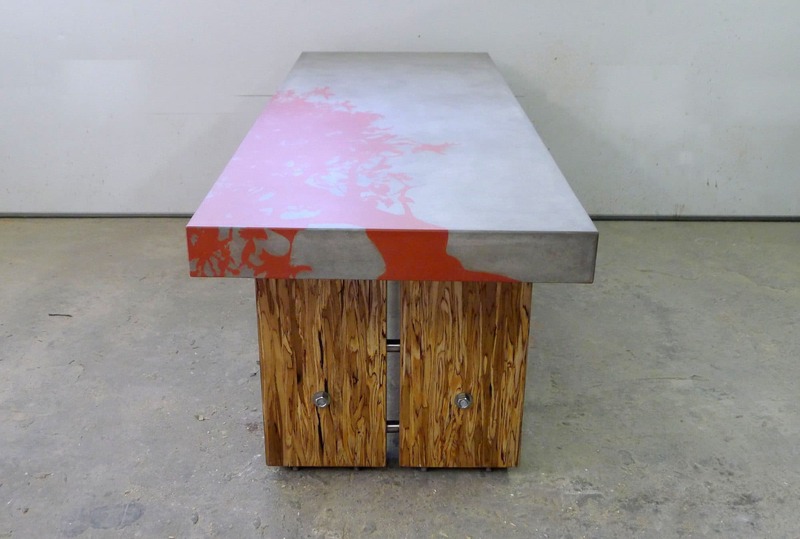 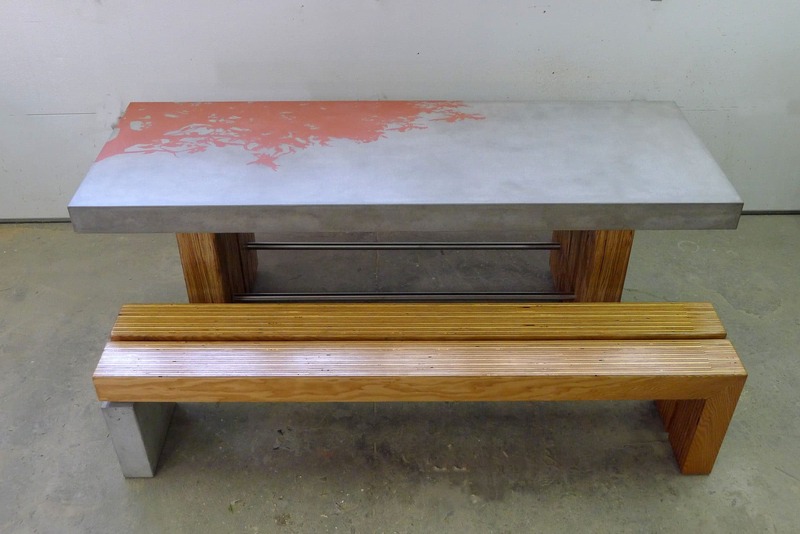 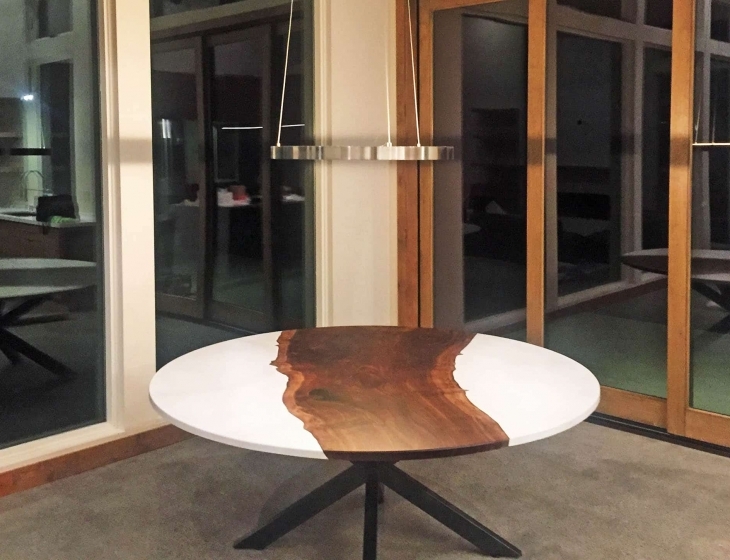 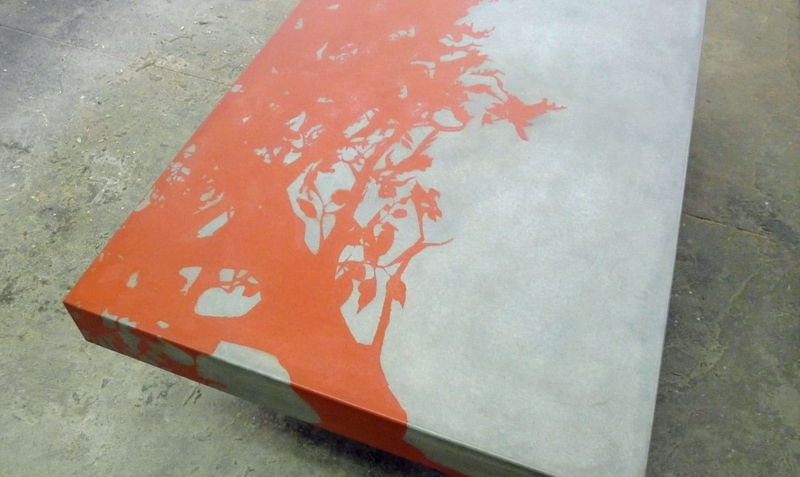 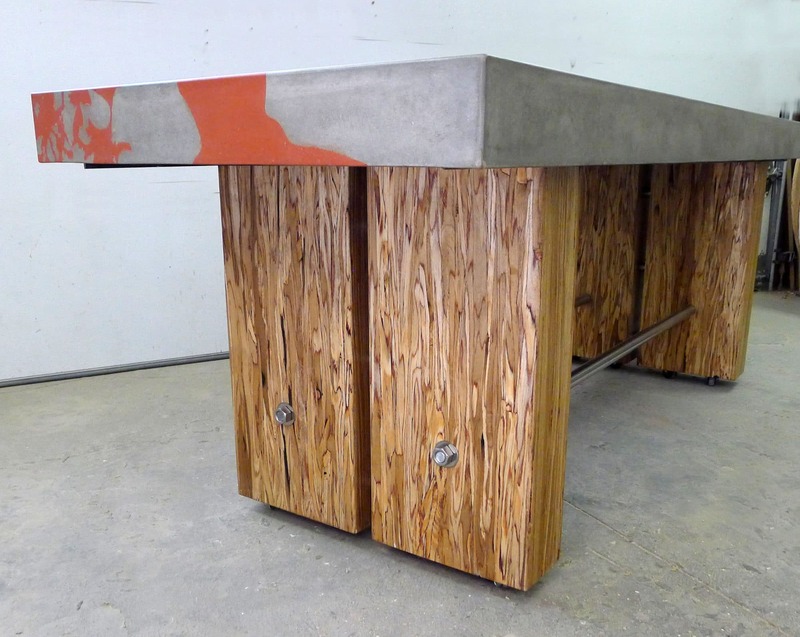 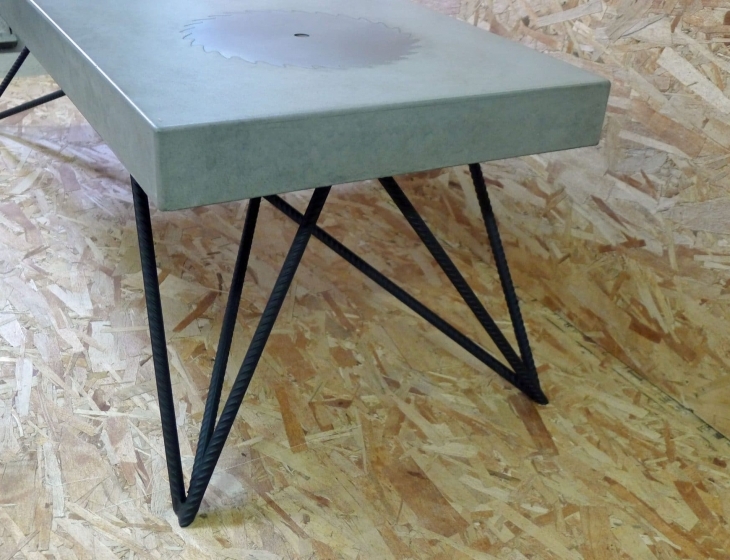 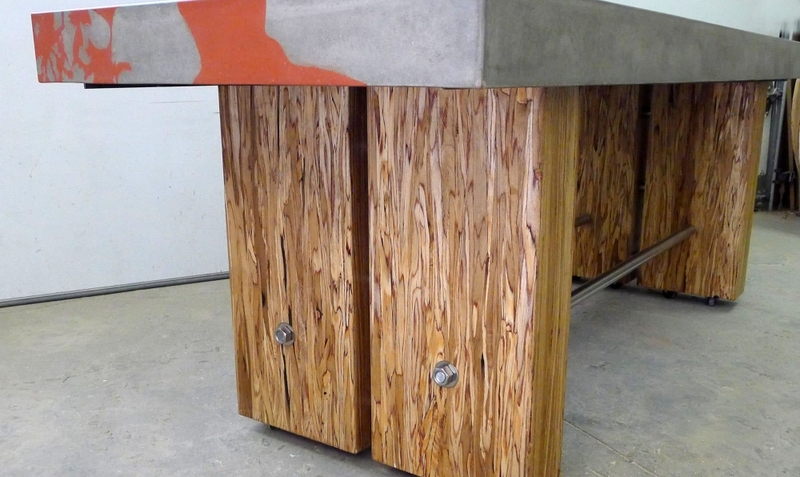 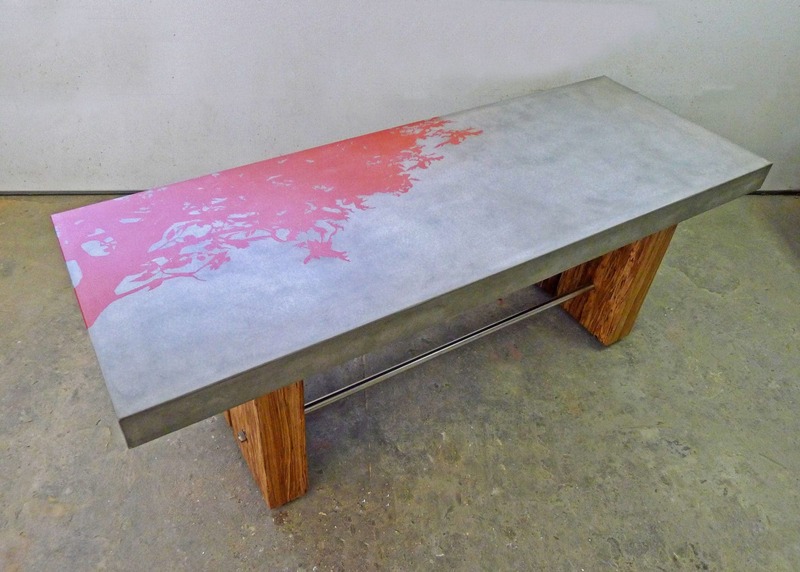 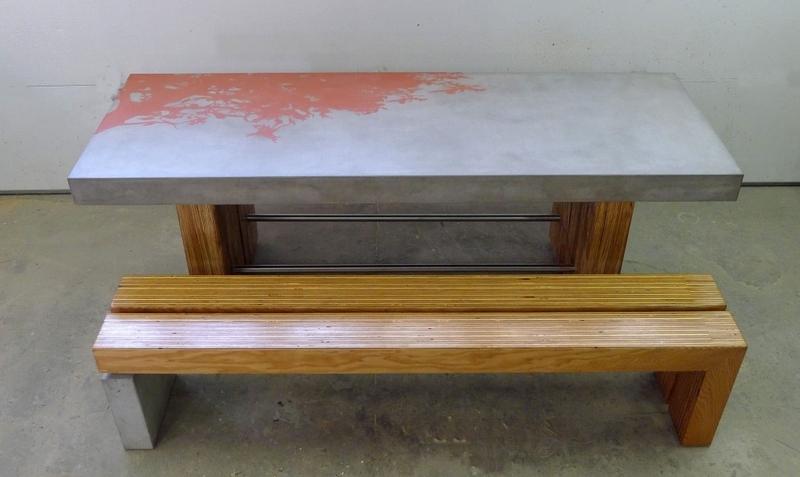 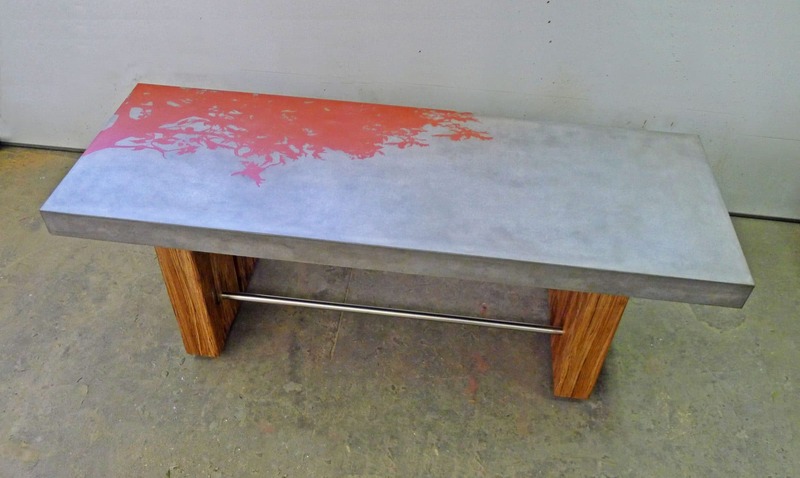 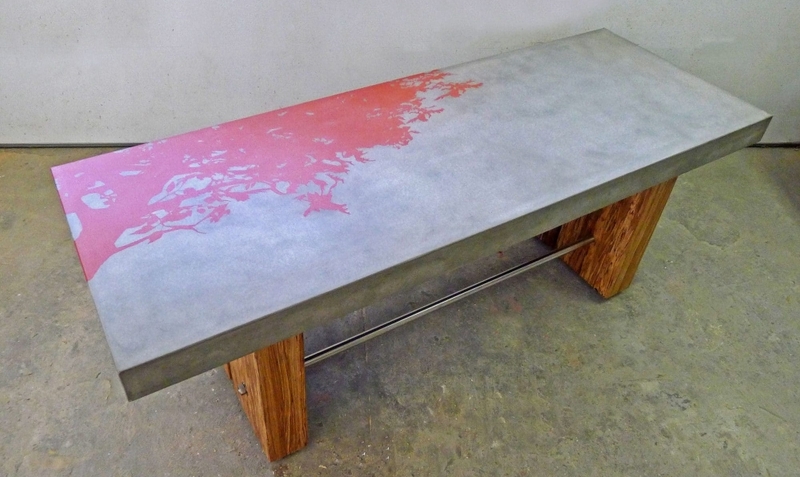 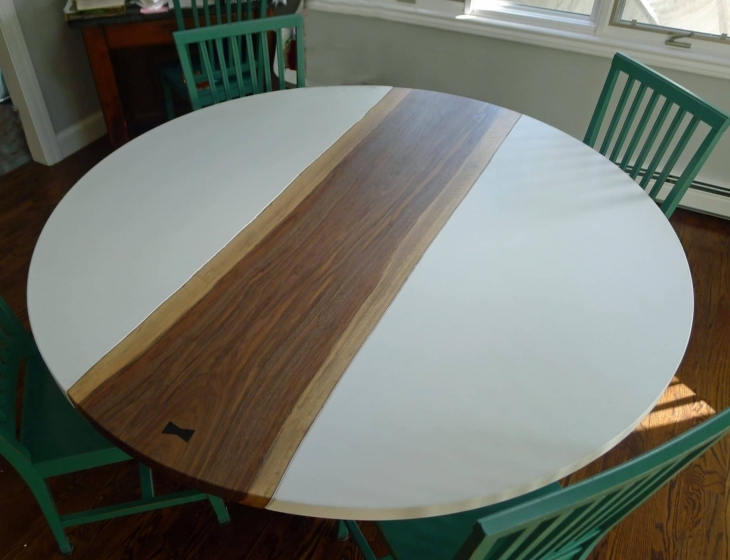 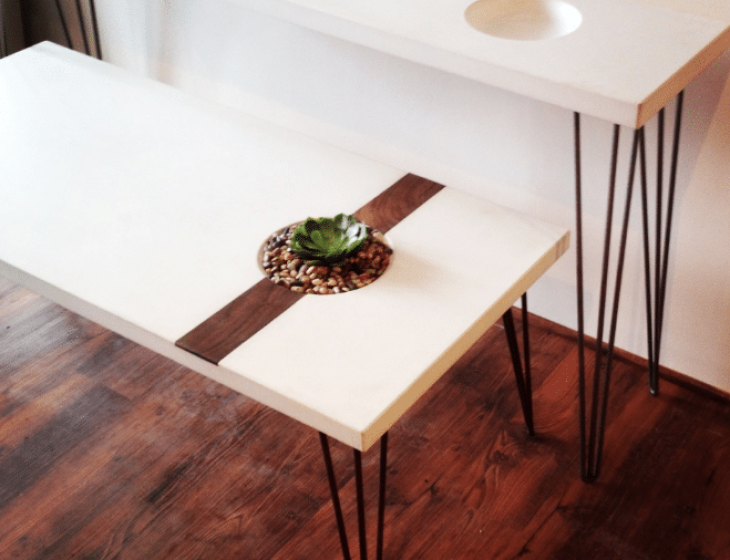 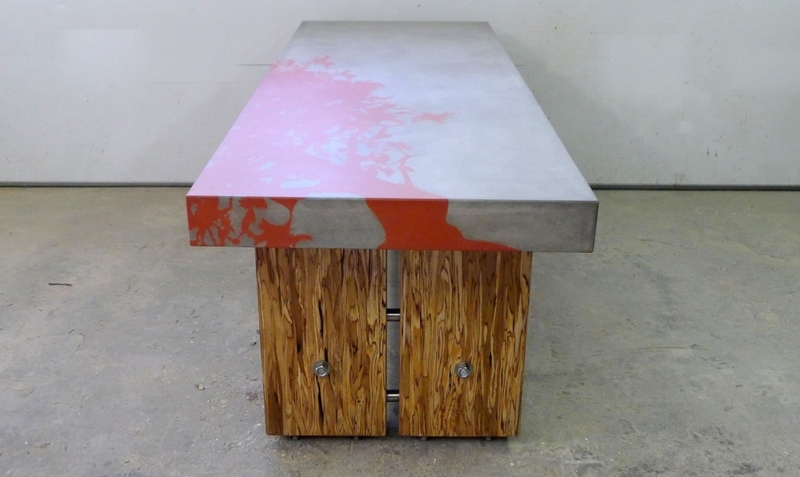 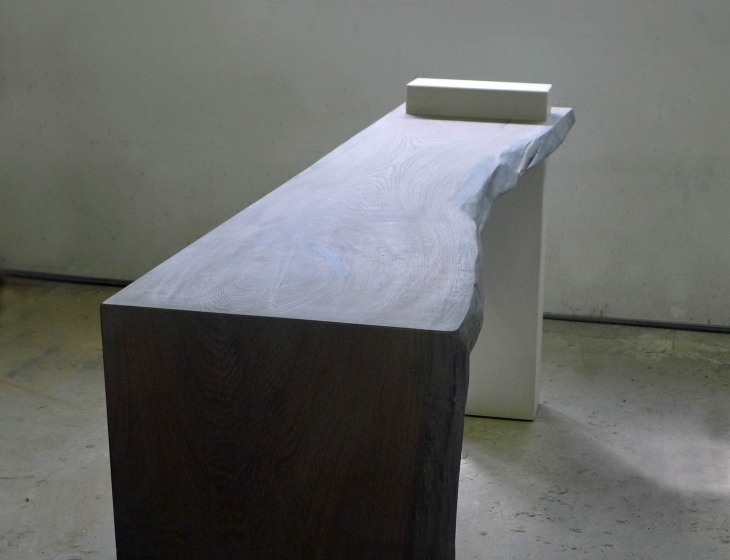 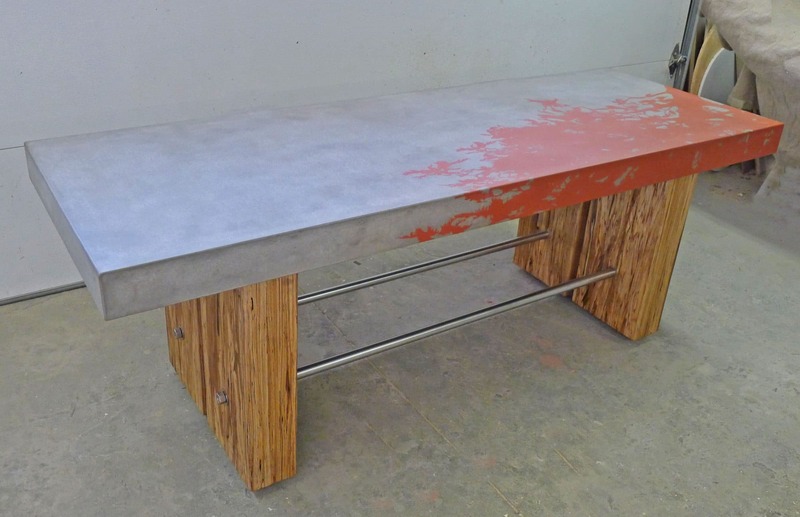 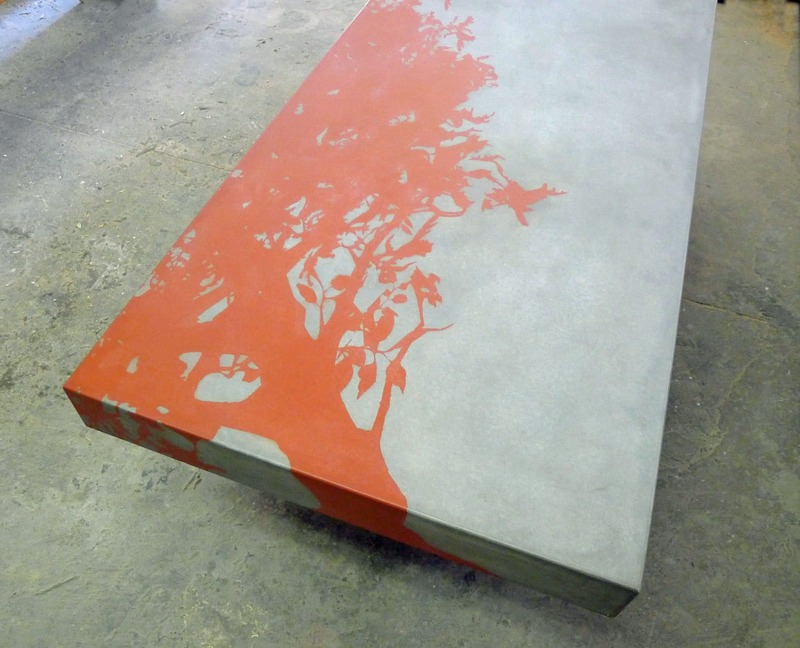 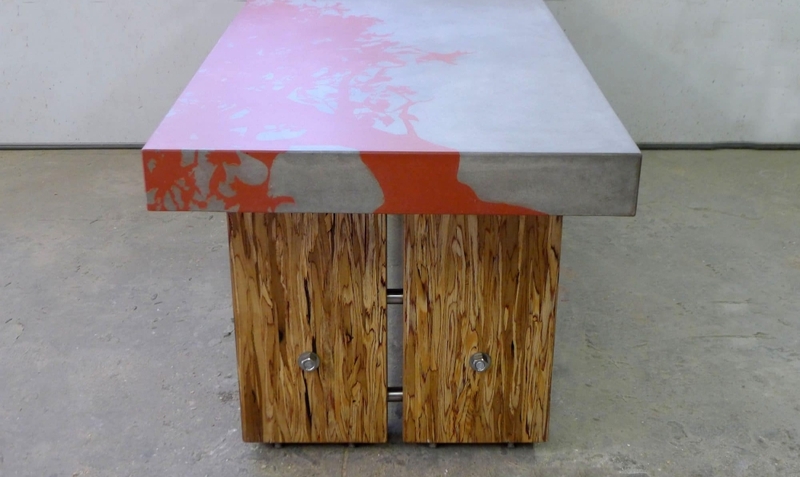 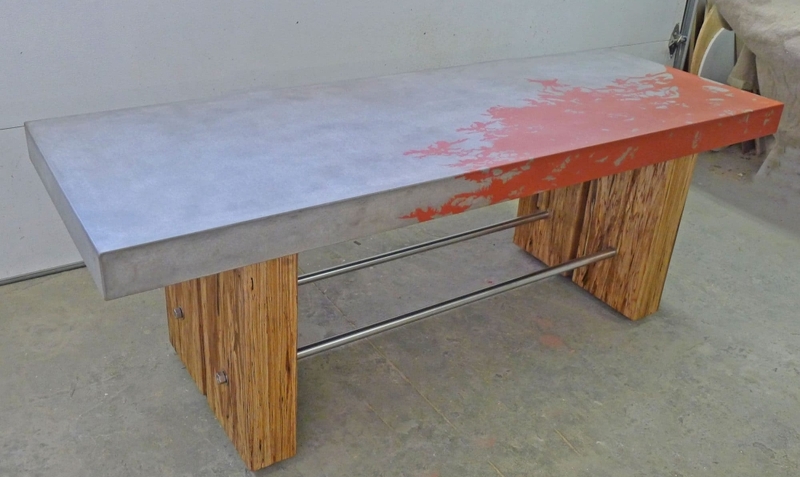 Concrete tabletop in limestone with inlaid tree stencil on a wood base. 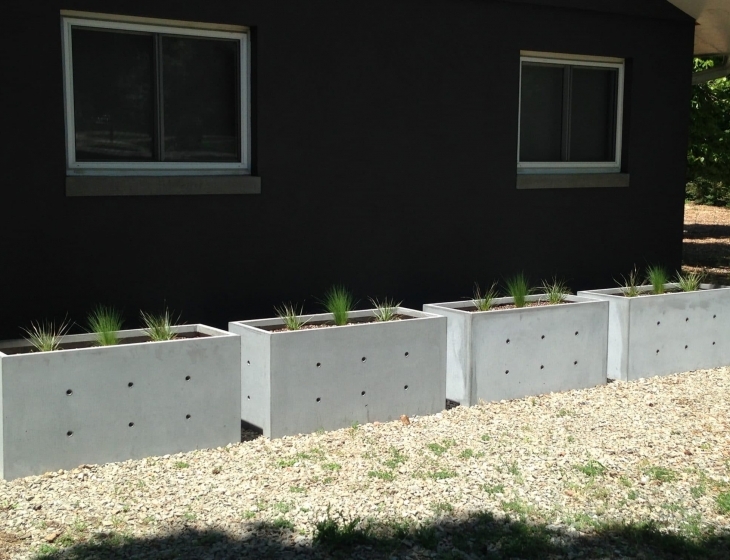 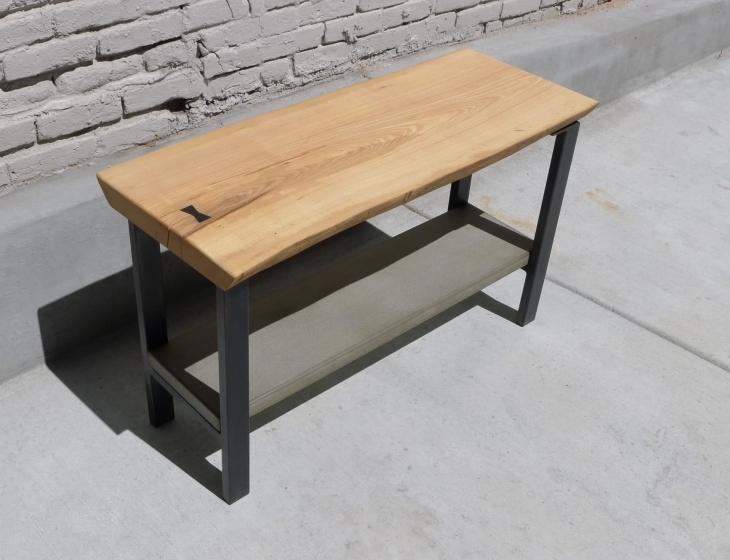 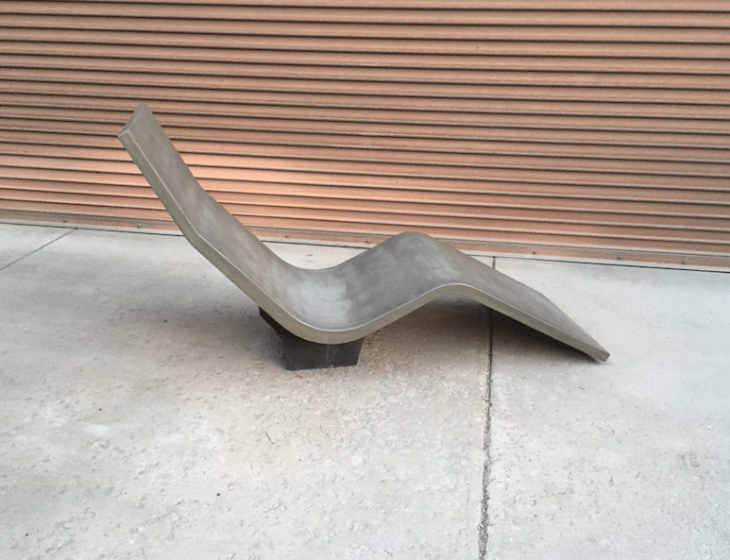 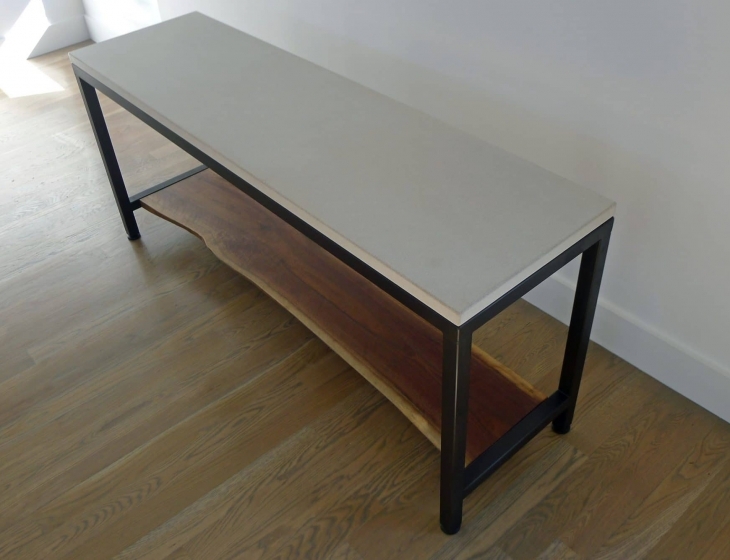 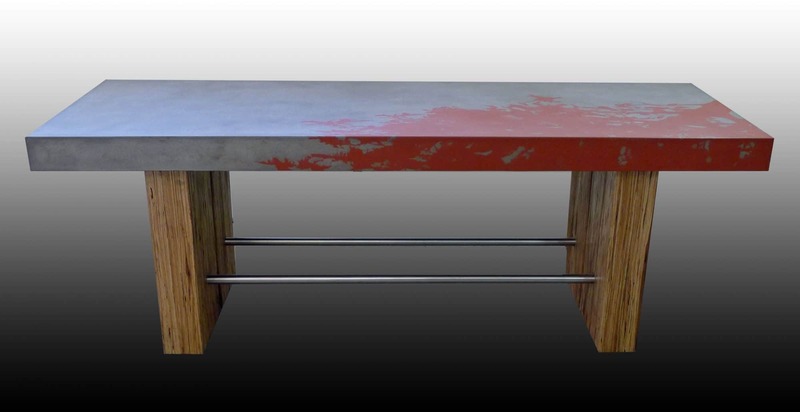 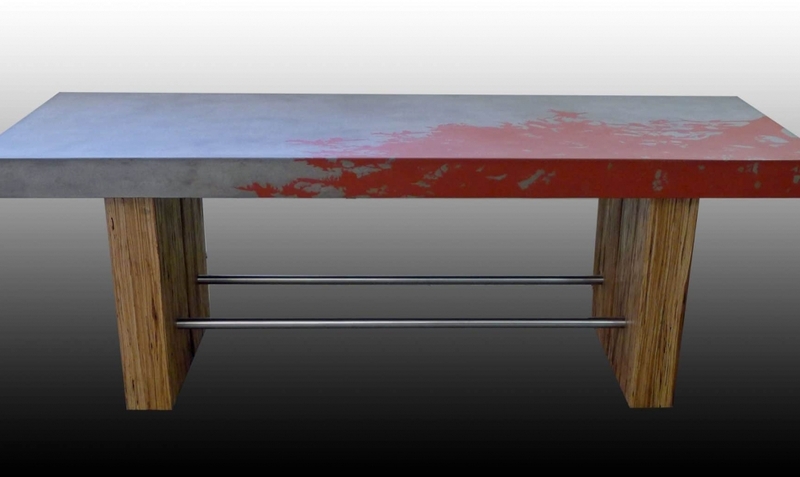 Base is constructed from Parallam beams connected with stainless steel hardware for an outdoor table destined for southern California. 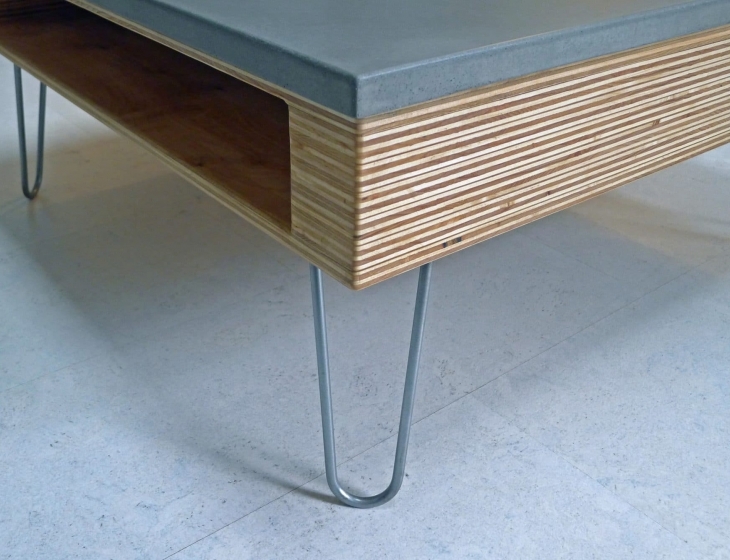 Casters are recessed into the wood legs for mobility.